Renewing a health insurance policy can be a chore, but it turned out to be a positive experience for customers who received a $100 eftpos gift card with their renewal notice. The gift program surprised and delighted customers and successfully improved renewal rates by 28% for a major health insurance brand. Created by Corporate Prepaid Gift Cards, the renewal incentive program created a ‘WOW moment’ for customers and delivered an impressive result for the insurer. Health insurance is an industry with a high level of customer churn. Customers shop around and compare their coverage with other offers, many of them switching to another provider if they find coverage or pricing that better suits their needs. Research for the Australian health insurance industry shows that lapse rates can rise to over 20% of customers with some insurers. New research shows that in the year to March 2018, an estimated 256,000 people decided not to renew their private health insurance, an increase from 182,000 during the same period in 2017. Findings from the Roy Morgan Private Health Insurance Customer Satisfaction Report^ reveal satisfaction with private health insurance in the 12 months to June 2018 was 70.5%, unchanged since May 2018 but down 2.0% from June 2017 (72.5%), and well below 2015 levels. The health insurance industry is looking for ways to retain customers and all Australian health insurers contributed to findings in the White Paper ‘Future Solutions in Customer Experience and Retention for Private Health Insurance’^^. Prepared by Energesse, the findings were designed to help deliver a greater customer experience and customer retention. Providing insights and strategies on improving consumer experience for retention, acquisition and return on investment, the white paper indicates that high lapse rates have a significant financial impact on insurers due to the relatively tight net profit margins. The report recommends that in order to get referrals or word-of-mouth recommendations, insurers need to deliver the ‘WOW moments’ where exceptional service is also exceptionally useful. 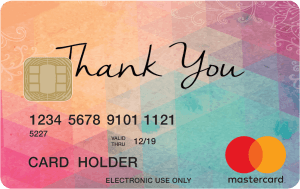 Corporate Prepaid Gift Cards has a proven strategy to provide an incentive for customers to renew their policy with a promised ‘Thank you’. A zero balance eftpos gift card was included with the premium renewal notice, to be activated when the customer renewed their policy. Customers were prompted to renew, knowing they would be rewarded with $100 loaded on the gift card for their personal use, once they had paid their premium. The promise of a reward persuaded them to renew without going through the added inconvenience of comparing other packages from rival companies. It created a positive reaction to the brand as the customer responded to the gift. Zero balance eftpos cards are ideal for customer retention or acquisition as they can be sent to a customer as an invitation to take action. Once they act by renewing a policy or purchasing a new policy, the zero balance card can be loaded with the promised value. Prepaid eftpos cards can be used in any store in Australia with an eftpos terminal. 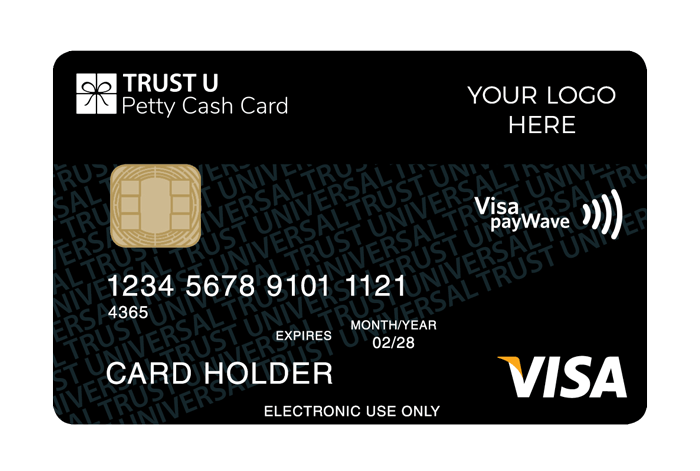 Eftpos cards have no hidden costs and can be branded with custom designs so they become a billboard in the wallet, an advertisement for your company while waiting for the customer to respond. And a prepaid gift card creates a positive memory – 95% of Visa or eftpos Gift Card recipients remember what they did to earn the reward and how they spent it. Corporate Prepaid Cards specialise in custom prepaid cards to be designed with your own branding ready for customer incentive and retention programs. You can select from eftpos, Visa and Mastercard branding and specify the design using your logo and artwork. Then you can choose to order small runs of up to 200 cards which can be delivered within 10 business days. Find out more about how Corporate Prepaid Gift Cards can design an incentive program that suits your requirements by visiting the website corporateprepaidgiftcards.com.au, or phone 1300 128 219, or email info@corporateprepaidgiftcards.com.au. ^Roy Morgan Private Health Insurance Customer Satisfaction Report, June 2018. Based on in-depth personal interviews conducted face-to-face with over 50,000 Australians per annum in their own home. ^^White Paper ‘Future Solutions in Customer Experience and Retention for Private Health Insurance’^ was prepared by Energesse for the Australian Health Insurance industry. Insights in this paper were compiled from analysis of in-depth interviews and presentations from representatives of 10 Australian Private Health Insurance companies.